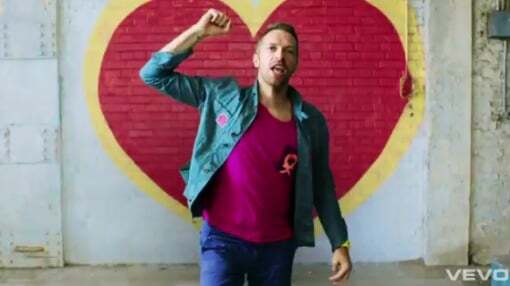 Coldplay has released the official music video for their recent single Every Teardrop Is A Waterfall. It’s a very cool video and suits the band and their music quite well. Sampling the 90’s classic Ritmo de la Noche, the single serves as a reminder that Coldplay isn’t gone and that their fifth studio album will be dropping come the fall. Street graffiti is the main theme here and on a visual level, the video is very creative. Highly-colorful images mixed with the stop motion make for an exciting visual experience and truthfully, this is one of the best music videos I’ve seen in a while. You can tell that a lot of work went into it and the artistic aspect of it is just wonderful. As for the song itself, how can you not like it? It’s an uplifting Coldplay track with some catchy guitar riffs and Chris Martin‘s signature vocals carrying the whole thing. Personally, I love it.